Comfort Lift Ankle Support offers soft binding around the heel to give you added comfort for all-day wear. Lift Ankle Support by Futuro sleek design contours to the natural shape of the ankle to give you the best fit and joint protection. 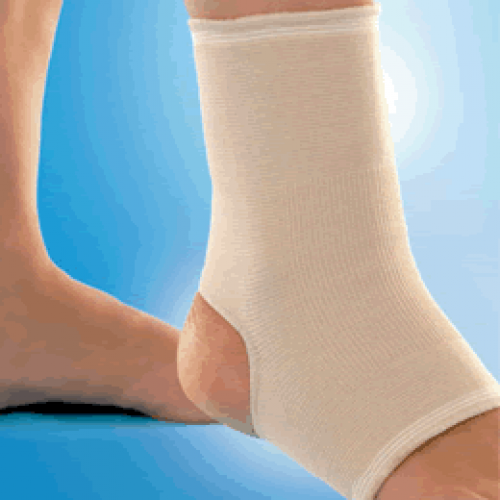 Comfort Ankle Support material is breathable, and made of a dual-stretch power knit to make it more comfortable. The comfort panel also helps reduce bunching and fits discreetly and easily in shoes. Use on either ankle. Comfort Lift Support are great to help treat arthritis, sprains, strains, and swelling. Hand wash in warm (not hot) water with mild soap. Give a good rinse then air dry. See more Futuro ankle products and Futuro compression stockings.